Electricity is the magic elixir that keeps modern society constantly powered. It is transformed from various energy sources—wind, coal, solar, nuclear, hydro, natural gas—at generating stations before being released to meet local demand. There are two major types of power plants: baseload and peaking. A regional dispatch team tells plants when to turn on and off based on forecasts as well as real-time demand data. 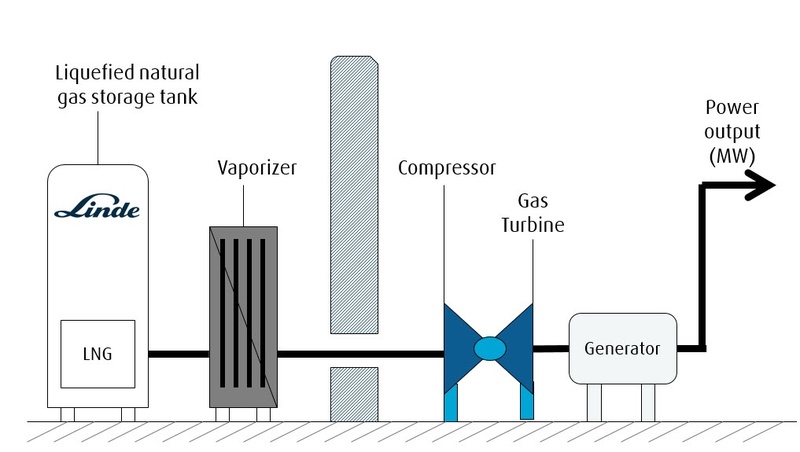 Peaking power plants are often supplied by natural gas. In fact, American power plants burned more natural gas than coal for the first time in 2015 and have continued to do so through 2017. American shale gas and environmental policies have contributed to this accelerated growth. Of course, there are advantages and disadvantages of different energy sources for power plants as illustrated in the diagram below. So how does liquefied natural gas (LNG) relate to all of this? Reliability and security of supply is always a concern for the power sector. During normal operations, natural gas-fired power plants are fed by a natural gas pipeline network. However, it is proactive to have a backup fuel supply to supplement the pipeline during times of planned or unplanned maintenance, feed gas curtailment, or even extreme temperatures. Contingency planning is therefore one of the power industry’s many challenges. Some states have requirements for additional backup fuel supply to be maintained on-site. LNG is unique in that it can satisfy these backup requirements in the form of storage tanks and vaporization equipment. For example, Capacity Performance Regulations were put into effect by the Federal Energy Regulatory Commission (FERC) in June 2015. These regulations specifically affect PJM, the Regional Transmission Organization (RTO) in the Eastern electricity grid. The ruling is intended to ensure better generator performance and fuel assurance, especially during winter months. Ultimately, generators will be committed to delivering electricity whenever PJM determine that they are needed. In this way, forward storage and reliability are being promoted. LNG can guarantee these targets are met! For locations where a permanent LNG storage and delivery station is unnecessary, a temporary station can be desirable due to short-term maintenance schedules, fuel supply outages, or curtailment. During these intermittent periods, there needs to be some way of ensuring power is still delivered. 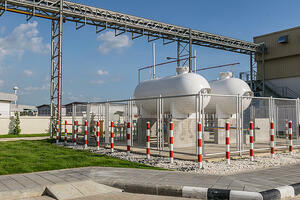 In these cases, mobile LNG equipment can supply a safe and reliable solution. These types of installations ensure public health and safety by providing a temporary resolution for the community. These installations are especially successful at peaking power plants due to the limited nature of a mobile storage unit. LNG can assist during your next fuel supply outage!